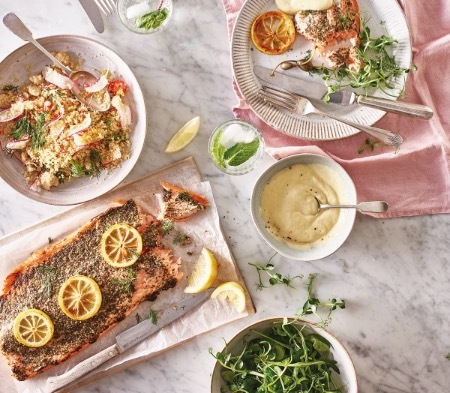 Salmon (84%) [Fish], Lemon Slices (6%), Wholegrain Mustard (2%) (contains: Water, Mustard Seeds, Vinegar, Salt), Lemon Juice (2%), Water,Dill, Caster Sugar, Cornflour, White Wine Vinegar (contains: Antioxidant: Sulphur Dioxide), Sunflower Oil, Salt, Granulated Sugar. Preheat oven. Remove from all packaging and place directly onto a baking tray in the centre of the oven. Allow to rest for 2 mins before serving & ensure piping hot. 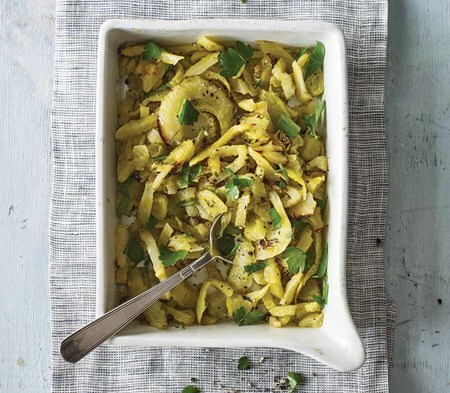 This dish can be served cold - perfect for a buffet. Follow the cooking instructions, allow to cool and keep refrigerated until serving. Once cooked, consume within 48 hours. Although every effort has been taken to remove all bones, some may remain.